Best Attack Position: On The Move! What Is The Nerf N-Strike Elite Retaliator Blaster? This is an awesome Nerf Gun Blaster, that has 4 different modes to give you the best edge on your enemy you can get. You can remove the stock with the flip of a switch or use it to steady your shot. There is also a barrel extension to help your shots become more accurate over range. The Nerf N-Strike Elite Retaliator Blaster is great for on the move shooting, if you can have it in the right mode for the right shot. You have the option to shoot clear across the battle area, or up close if you get in a situation. The 12 darts quick reload clip is amazing for getting shots off and slamming another clip in, to keep up the attack! The color of The Nerf N-Strike Elite Retaliator Blaster will vary from white to blue, both still a great gun for your collection. Repeat 3 and 4 until 1 and 2 Are Required! 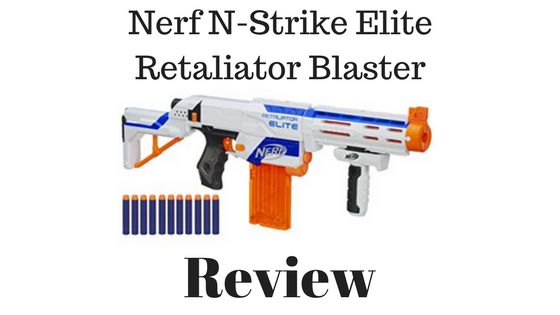 The Nerf N-Strike Elite Retaliator Blaster is a great Nerf Gun to own for the any position of attack. 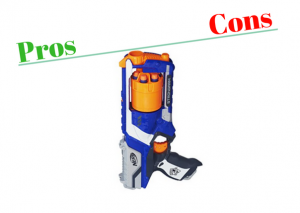 You can buy multiple clips that hold 12 darts for easy drop and reload to get back to the battle faster, the 4 different configurations, from taking off the stock to adding to the barrel length, this is a Nerf Gun to add to your collection. The Nerf N-Strike Elite Retaliator Blaster has its positives but it is also known to jam often. Possibly the Nerf darts that comes with the gun become flimsy over time and get easily jammed. Make sure you use only Nerf Official Darts, they will last longer and make sure you remove any flimsy darts, they will only make things worse. Who Is The Nerf N-Strike Elite Retaliator Blaster For? The Nerf N-Strike Elite Retaliator Blaster is a great gift or purchase for anyone who is interested in battling with friends and looking not to get hurt. You can still take a dart to the eye, this is why you should wear eye protection. If you are looking to add a Nerf gun to your arsenal that can change its appearance 4 different times and is able to shoot from any position, this is a great gun to get. The one downfall as I said above, is the original darts that come with the gun, eventually start to jam. If you can buy stiffer darts, like the green zombie Nerf darts, there should no issues. 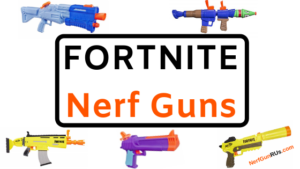 Nerf guns are great to get anyone of any age, it is recommended 8+ but if they can be responsible and know how to shoot, Nerf guns are great for all ages. Proper safety and accurate target practice should be used before the younger ones get too involved! 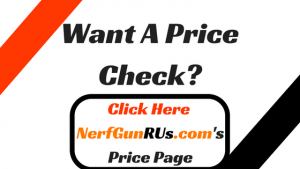 Is The Nerf N-Strike Elite Retaliator Blaster Worth The Price? 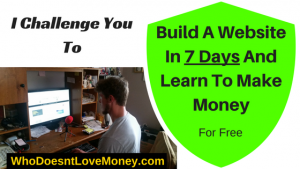 So The Biggest Question When Buying Any Product…. 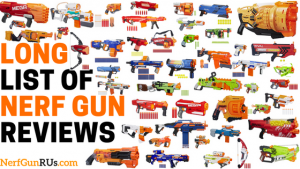 When you are going to choose a Nerf Gun you really need to know if it is worth it. 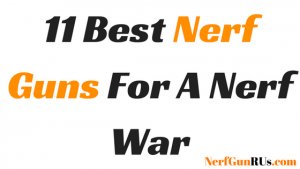 A Nerf Gun needs to fit yours style of Nerf Battle tactics, there are all kinds of Nerf Warriors that know just exactly how to eliminate everyone and just how they are going to do it. They have practice with their Nerf Guns, resulting in epic awesomeness! The Nerf Elite Retaliator is one of the original Nerf Gun designs right along with The Nerf Elite Strongarm, of course there have been upgrades made to ensure peak performance, but the design is still original. The fact that you get 12 Nerf Darts that fire with the priming action of pulling back the top lever and returning it, that you can fire at a good pace, practice will help speed and accuracy, makes it worth the price to me! When it comes to judging Nerf Guns the Nerf Elite Retaliator is one of the original designs that is still around for a reason… It is simple and works. Prime and fire, prime and fire. The simple design makes for easy maneuverability and quick aiming. I say this is a must have for any Nerf Collectors, the design will be around for a long time, but will it be in your collection? My final opinion of The Nerf N-Strike Elite Retaliator is this is an awesome Nerf Gun that has a good amount of ammo to get just about any job done, with the quick aiming ability that only adds to the ability to get any job done. I believe if you have not ever used or owned The Nerf N-Strike Elite Retaliator Blaster, it would be a good gun to start with. Awesome Starting Nerf Gun. When you are ready to add one of the most original Nerf Guns to your arsenal, The Nerf Elite Retaliator Banner Above will bring you directly to Amazon.com where you can safely and securely purchase your very own Nerf Retaliator, or gift a Retaliator for a friend! 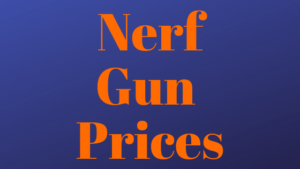 NerfGunRUs.com enjoys working with Amazon.com to ensure safe and secure purchasing, as well as the options of frustration free packaging or manufacturer’s packaging, along with amazing deals on accessories for your Nerf Elite Retaliator! 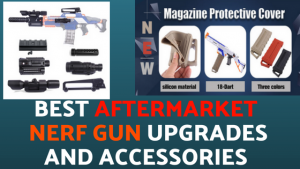 When you go with The Nerf N-Strike Elite Retaliator, you are choosing one of the most original Nerf Gun designs, along with The Nerf Elite Strongarm, that even has an upgraded version called The Disruptor! Do you have a certain reason you are choosing to stick with an original design? Are you going with a Strongarm and The Retaliator? That would be an awesome combo to take into any Nerf Situation where you will need some firepower! Any reason to get a Nerf Gun is reason enough!